HOLLYWOOD PRODUCER HARVEY Weinstein was fired from his film studio The Weinstein Company last night following reports that he sexually harassed women over several decades. The firing came after The New York Times published a report earlier this week that alleged Weinstein, whose company produced such Oscar-winning hits as The King’s Speech and The Artist, preyed on young women hoping to break into the film industry. The accusers – reportedly including celebrities such as Rose McGowan and Ashley Judd – say Weinstein promised to help advance their careers in exchange for sexual favors and pressured them to massage him and watch him naked. President Donald Trump, who said he had known Weinstein for a “very long time”, said he was “not at all surprised” by the revelations. 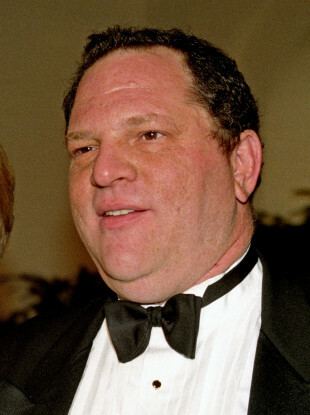 In a statement, Weinstein – a staunch Democratic campaign fundraiser who backed Hillary Clinton in her presidential bid – said he respected all women and was hoping for a second chance while acknowledging he had “work to do to earn it”. A father-of-two married to British fashion designer Georgina Chapman, Weinstein is considered a powerhouse in Hollywood and many of his movies have picked up Oscars over the years, including Good Will Hunting and The Artist. Email “Harvey Weinstein sacked from own company over sexual harassment claims”. Feedback on “Harvey Weinstein sacked from own company over sexual harassment claims”.